Pittsburgh, PA – February 5, 2019 — PWCampbell, a design build/firm headquartered in Pittsburgh, PA and historically known for building thousands of financial institutions throughout the mid-Atlantic region, is making a name for itself in the commercial arena. “The success of our company has enabled us to grow and expand, providing construction services to the food, automotive, healthcare, residential and urban redevelopment industries,” stated Jim Caliendo, President and COO for PWCampbell. “When family owned Oakmont Bakery approached PWCampbell about the project, we were more than excited to partner our fourth generation family owned company with the Serrao family to construct a new, state of the art bakery and a pillar of the Oakmont Community. We were humbled to watch the Serrao family officially open their new building at yesterday’s ribbon cutting,” added Caliendo. 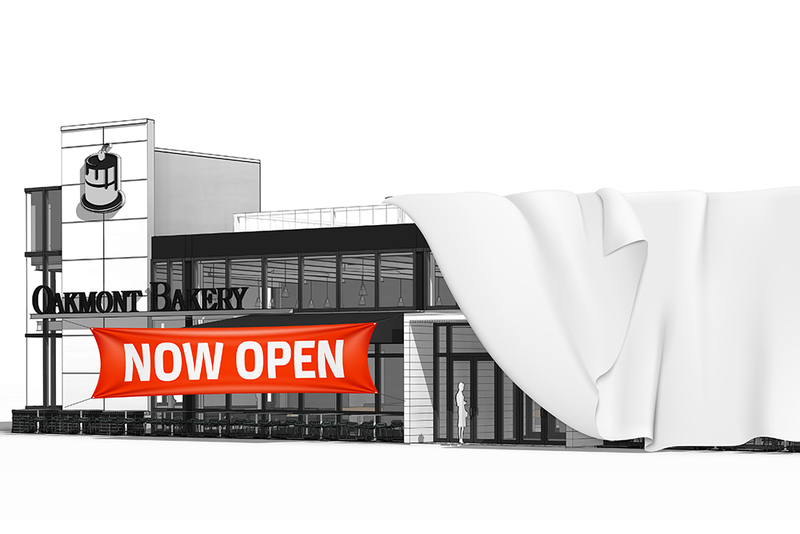 Construction of the new Oakmont Bakery will enable the Serrao family to more than double the retail and production space, increase parking to 80 spaces, and grow café space to 100 seats. The building is approximately 19,000 square feet and was constructed using many family, friends and local contractors, subcontractors and suppliers. Oakmont Bakery is a very community-driven business so it was important to them that the investment in their new building stayed within the community. PWCampbell is a retail services and design/build firm, headquartered in Pittsburgh, PA with over 100 years of solid experience. We are dedicated to serving our clients by providing the planning, design and construction expertise they seek to optimize their building efforts. With our strength in the design/build area, we have evolved into a fourth generation, full-service professional organization concentrating our efforts in the financial, commercial and residential industries.